On 1 January 2014, the Mediation Rules of the International Chamber of Commerce came into force (ICC Mediation Rules), thereby replacing ICC’s Amicable Dispute Resolution Rules. While arbitration under the ICC Arbitration Rules leads to a binding decision from an independent and neutral tribunal, the ICC Mediation procedure seeks to help the Parties reach a settlement agreement with the participation of a neutral facilitator. The ICC Mediation Rules provide an interesting and efficient institutional framework to achieve this purpose when two Parties truly wish to settle a dispute, in particular because they can be used in conjunction with other procedures aimed at an amicable settlement of the dispute. 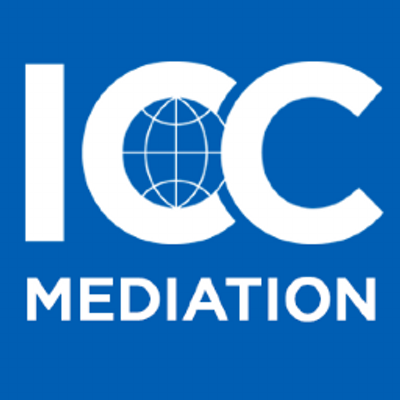 The International Chamber of Commerce advertises that mediation under the ICC Mediation Rules may be provided as a preliminary dispute settlement mechanism prior to resorting to arbitration, in the same clause of the contract, called an escalation clause or a multi-tiered dispute resolution clause. Escalation clauses are increasingly used in international construction and engineering contracts and, while the ICC Mediation Rules only provide for two levels (mediation followed by arbitration), these clauses may be tailored to the needs of the parties. It is not uncommon for these clauses to first provide for informal discussions between technicians, then that their respective managers meet and negotiate, that a higher level of managers next mediate under the ICC Mediation Rules, and finally that the parties resort to arbitration only if ICC mediation fails. These clauses may also provide for expert adjudication, Dispute Review Expert, Dispute Adjudication Board or Dispute Review Board, and also ultimately provide for arbitration. It is important to provide for a timeframe for each step of the clause (the ICC Mediation Model Clauses provides for 45 days) especially if there are numerous steps to the process, in order to clearly indicate when one step has failed and it is time to move to the next one, as the jurisdiction of the tribunal will ultimately depend on the parties’ respect of the provisions of the dispute resolution clause. Escalation clauses should also remain as simple as possible, so that no differing interpretations of the steps that are required can be claimed when a dispute arises. Lawyers should also explain to their clients that, in the event of a multi-tiered dispute resolution clause providing for arbitration and mediation under the ICC Mediation Rules, and mediation fails, one half of the ICC administrative expenses paid for these proceedings are credited to the ICC administrative expenses of the arbitration, pursuant to Article 2 Appendix III (Arbitration Costs and Fees) to the ICC Arbitration Rules.